Hi Everyone! 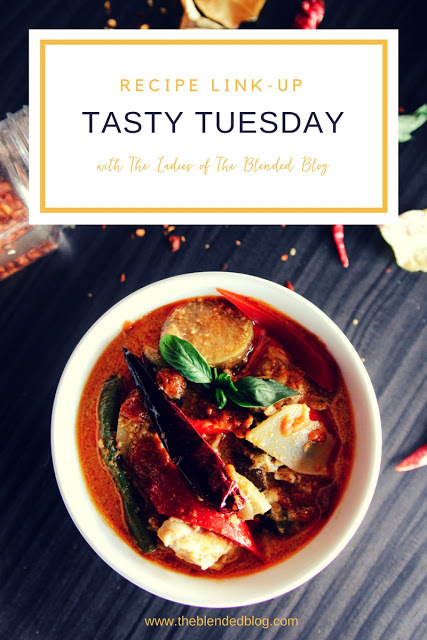 I'm Nicole from Nick & Nicole + 4, and I signed up to post today’s Tasty Tuesday thinking I would have time to make something magical and take the best photos of said magical food. Instead I gained 24 pounds in 2 months and am drinking shakes to live. So I was thinking about what I’ve made lately that’s healthy and remotely pretty, before living off of shakes! Also, I like the ramble. And my protein pancakes win the prize! While I’m eating healthy, I still want to have Sunday breakfast with my family. It’s my day off, and I love having a big breakfast. However, I don't love how many carbs are in some of the foods I love (especially when I’m counting Macros!) 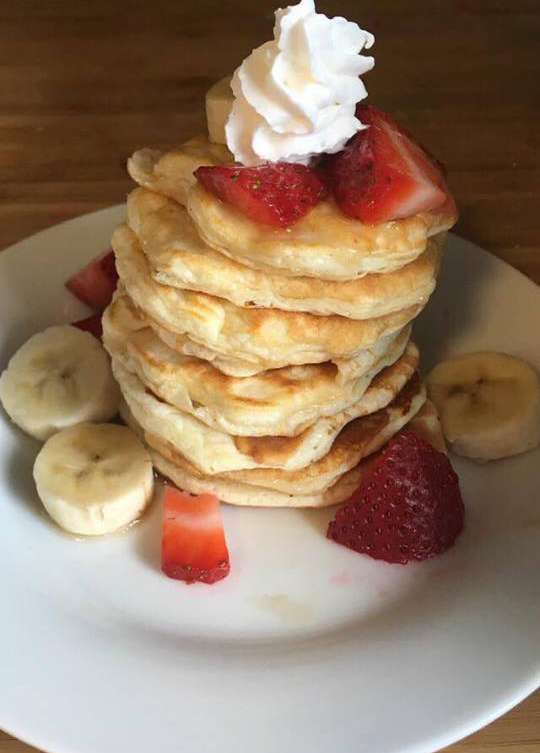 so I found these low carb, high protein pancakes on Instagram. 2-3tbsp water (add more till you get the correct pancake-y consistency) I’m real technical ya’ll. 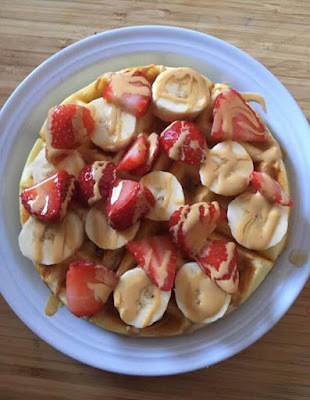 Just mix together and should make 5-6 pancakes! We also make ‘1carbwaffles’ which are to die for. And for those of you who are going to ask, when I actually follow my macros and don't gain 24 pounds (it's almost gone don't worry) I use Avatar Nutrition to calculate mine! I hope someone makes these! And has learned something - ha! I'd love to see what you're all cooking - don't forget to link up!